“Fox Nation” host Britt McHenry and Democratic strategist Mustafa Tameez discuss Senator Bernie Sanders’ (I-Vt.) claim that America is controlled by a small group of billionaires. 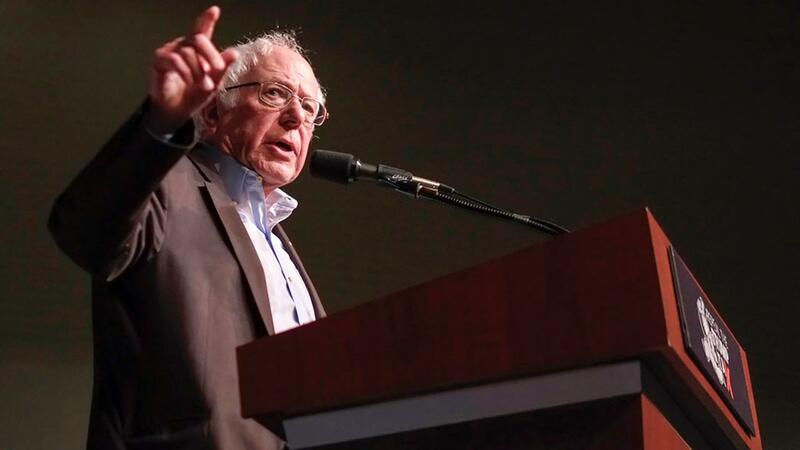 Independent Vermont Sen. Bernie Sanders said he – along with other members of Congress – plans to introduce a bill in Congress this week that would raise the federal minimum wage to $15 per hour. The bill is expected to come as the government shutdown enters its fourth week – eclipsing the record for the longest lapse in federal funding over the weekend – as many federal employees go unpaid. Raising the minimum wage sparks a range of opinions on Capitol Hill – from whether it should be raised at all to whose job it should be to do so. Such a bill is unlikely to make significant headway because, even though Democrats took control of the House of Representatives during the 2018 midterm elections, Republicans maintain control in the Senate. During an interview with FOX Business in November, White House economic adviser Larry Kudlow argued against having the federal government set the national minimum wage since conditions vary meaningfully among states. “The federal government shouldn’t have jurisdiction over the states anyway in a matter like this. The conditions are different in these states, the cost of living is different, the state of business is different,” Kudlow said. The White House adviser added that he has no problem with Americans taking home larger paychecks, especially if the raise comes from companies in the private sector – like Amazon. Sanders has been a staunch advocate for raising the minimum wage to $15 per hour. He introduced bills last year aimed at corporate America – including the Stop BEZOS Act – pressuring America’s largest corporations to lift workers’ wages. In addition to Amazon, Sanders has publicly targeted McDonalds, Walmart and American Airlines. Meanwhile, the senator is said to be staffing up for another potential run for president in 2020. He has reportedly been in talks with digital staffers who worked on his 2016 campaign and the media production company that worked with popular freshman New York congresswoman Alexandria Ocasio-Cortez, people familiar with the matter told Politico.